I love that Kimhead and I are such good friends still after all these years that we can still find time to celebrate the holidays together. 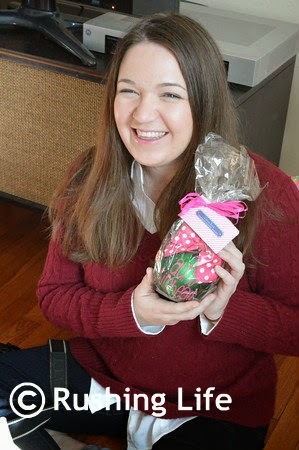 In fact, she is the only friend I still buy Christmas gifts for. It's not that I don't want to buy anyone else anything, it's just more of a practicality thing. I work a lot of weekends in December, plus we travel to Atlanta and The Fort, so finding time for Christmas exchanges just is near impossible. Plus, Kimhead and I have it down to a science - we each buy the other a calendar for the next year, plus an ornament. We started the calendars in college and then added the ornament sometime a few years later. I wish I had thought ahead enough to label each one with the year. Oh well. Better planning in the next life, right? 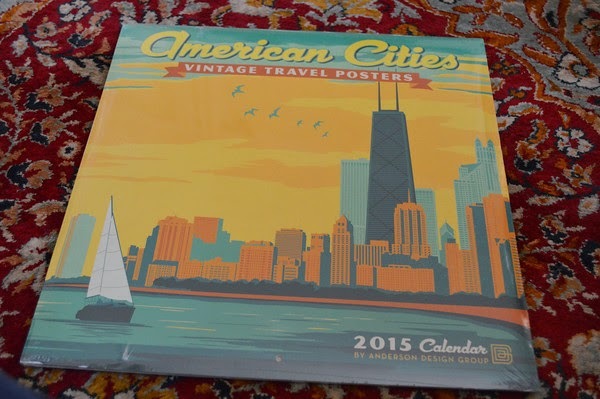 I *loved* the calendar she got me this year. And I *loved* the "Aunt Kimhead" ornament I got her! It's funny because each year, we always find we are more excited about one or the other gifts that we give. I don't know I can ever top this ornament! And of course, she can't leave Bimmer out. She gave her a Frozen book and the DVD Frozen. (We've yet to finish it, but we've started it. I like it so far!) 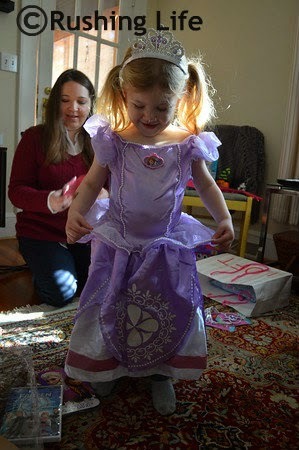 Kimhead has always been the more girly of the two of us, so her gift of a Sofia princess dress with wand and tiara didn't come as much of a surprise. Bimmer certainly loved it! We went and saw Christmas lights, went out to dinner, went out to lunch, and played a lot around the house (since Bimmer was coming off a few days of being super sick). It was a great quick visit and we're so happy that Kimhead is willing to drive to visit us each Christmas. Bimmer loves to see her aunt and it's getting more and more fun for them each year. Next year - there will be two babies for her to play with! Craziness!